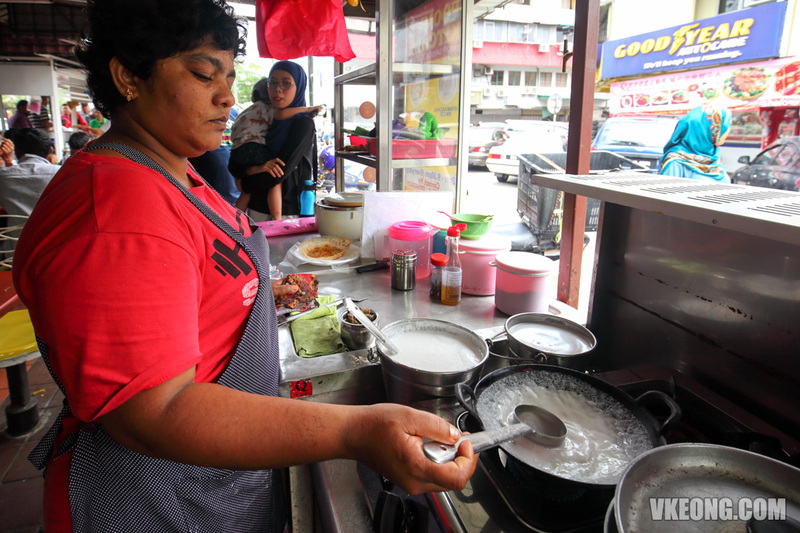 Essentially, there are two stalls that sell sweet appam (or hoppers) in Bangsar‘s Lucky Garden. 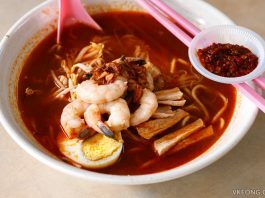 Since Poomy’s Kitchen is located right next to the famous Anuar’s Fish Head Curry, they can be considered the luckier one. Because of their strategic location, they also enjoy better attention. With that said, the real reason I endorse Poomy’s Kitchen is completely personal. 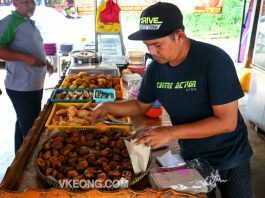 We were rudely treated by the other stall’s owner and staff so it means nothing to me as a customer no matter how good their appam is. 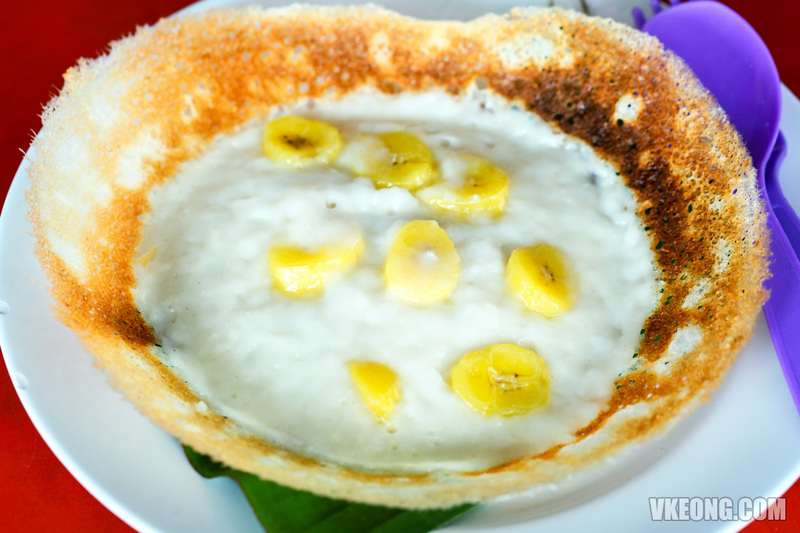 But just to be clear, I actually also prefer Poomy’s Kitchen’s appam because it’s not as sweet, making it a not-so-guilty snack to enjoy. 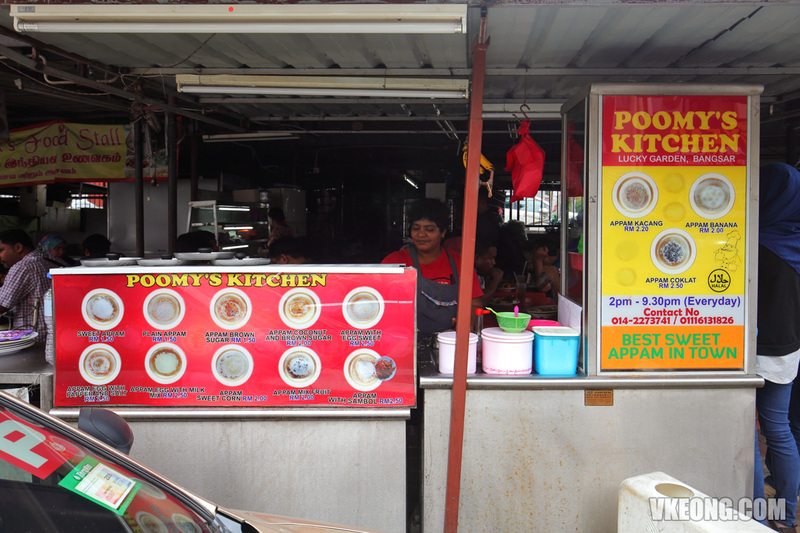 From what I know, Poomy who hails from Sri Lanka is proprietor as well as the uncle of the siblings who are managing the stall. I think he’s about to retire so if you manage to bump into him, you should consider yourself lucky. Currently, there are more than a dozen of flavors available all priced between RM1.50 and RM2.50. So the price feels cheap, if not reasonable. 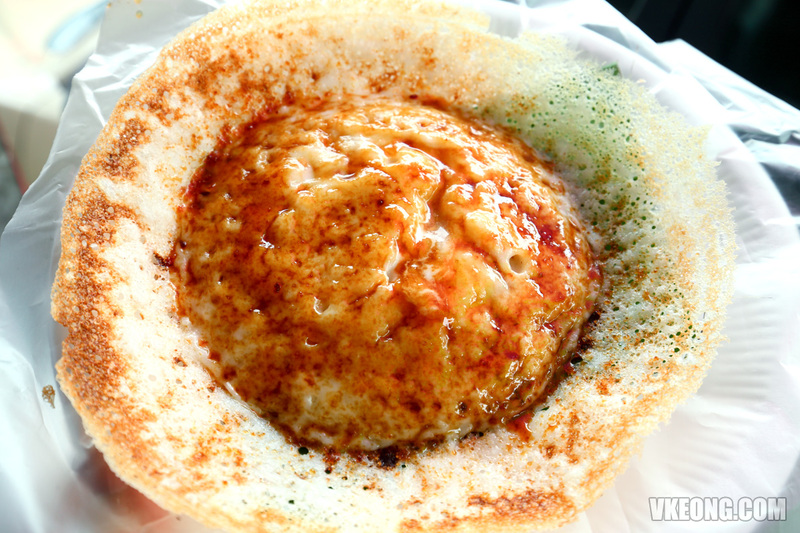 Among the few that we tried, the Appam Coconut and Brown Sugar @ RM2 would be my favorite. 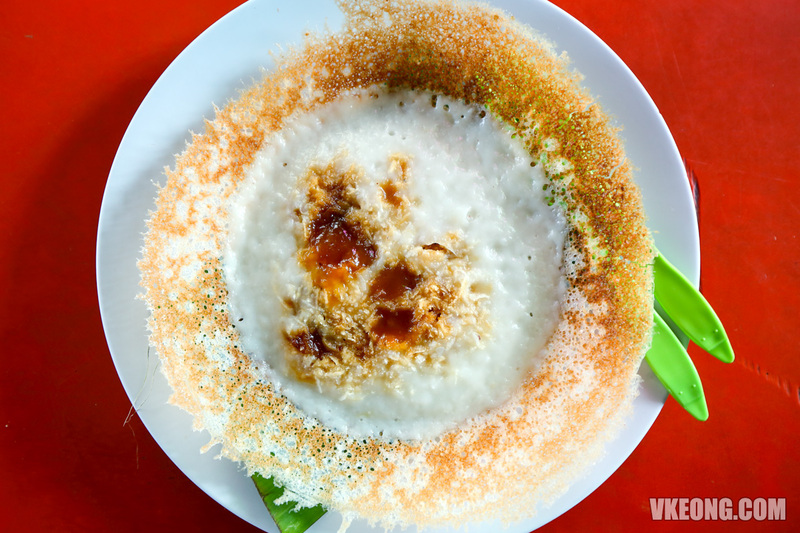 The sweetness from the brown sugar pairs really well with the savoriness of the coconut flakes, which also give it a nice scrumptious texture. 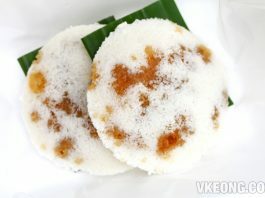 It’s great as an inexpensive after meal snack, perfect for tea break too.